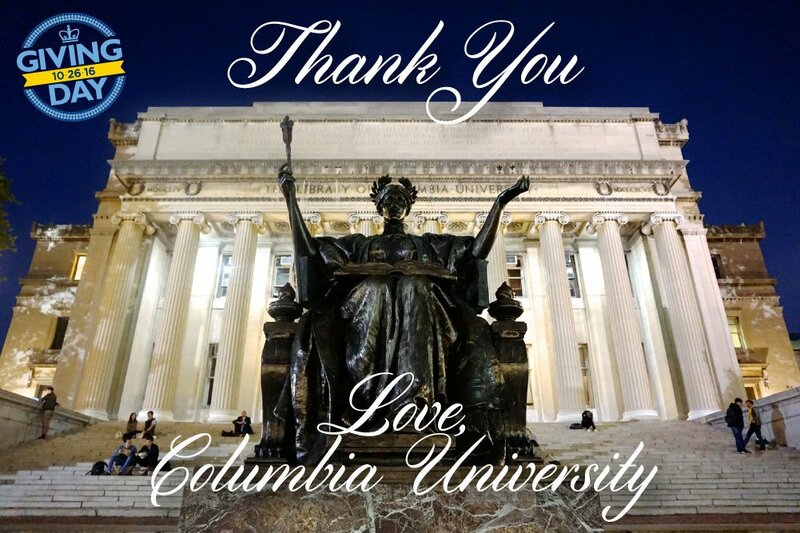 An amazing Columbia Giving Day, an important new program, and an exciting upcoming event—here's your weekly Low Down roundup. On Columbia Giving Day on October 26, Columbians came together to change lives that change the world. Our collective impact resulted in 14,269 gifts of more than $14.5M from 50 states and 60 countries. Thank you! This week, the Atlantic Philanthropies and Columbia announced the Atlantic Fellows for Racial Equity, a 10-year, $60 million program for courageous and creative leaders dedicated to dismantling anti-black racism in the United States and South Africa. Alondra Nelson, Columbia's dean of social science and professor of sociology, will serve as faculty lead to the Atlantic Fellows program. The University dedicated the new Manhattanville campus, now taking shape along Broadway immediately above West 125th Street. Columbia Football won its first Homecoming game in 15 years. The Low Down compiled some of excitement from the game, captured on Twitter. Roar, Lion, Roar! The Columbia Alumni Association (CAA) is holding an exciting event on December 7 and Low Down readers have the first opportunity to register! Experts from Novartis, Equinox, Morgan Stanley Children's Hospital, and more will come together in New York City at an informative night of health and wellness for Columbians. Enjoy organic drinks, superfood appetizers, and a moderated panel about how to maintain a healthy, balanced lifestyle—both mentally and physically. Space is limited, so early registration is strongly encouraged. See you there! New Podcast Episodes: In partnership with The Office of University Life, The Low Down is producing three episodes dedicated to the new storytelling project, StorySpace@Columbia, which presents personal and inspiring stories from students across Columbia. Check out Part 1 and Part 2 of the series.